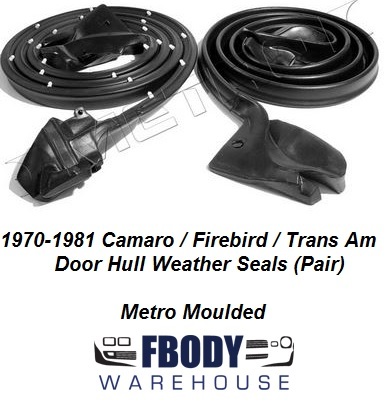 These weather seals wrap the door frame and are sold as a set (Left and Right) Units are produced by Metro Moulded, and offer a superior fit and function over other brands in the market. These include a 15 year replacement warranty as well, so you can replace them once and not have to worry again about water leaks, and loose fitting doors, wind noise, etc. Units install easily and can be done at home in the driveway. 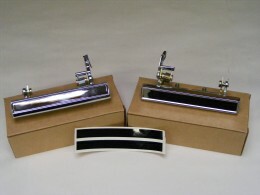 Set includes the mounting tabs so install is a snap! Units will fit all 1970- 1981 Trans Am, Camaro and Firebird models.